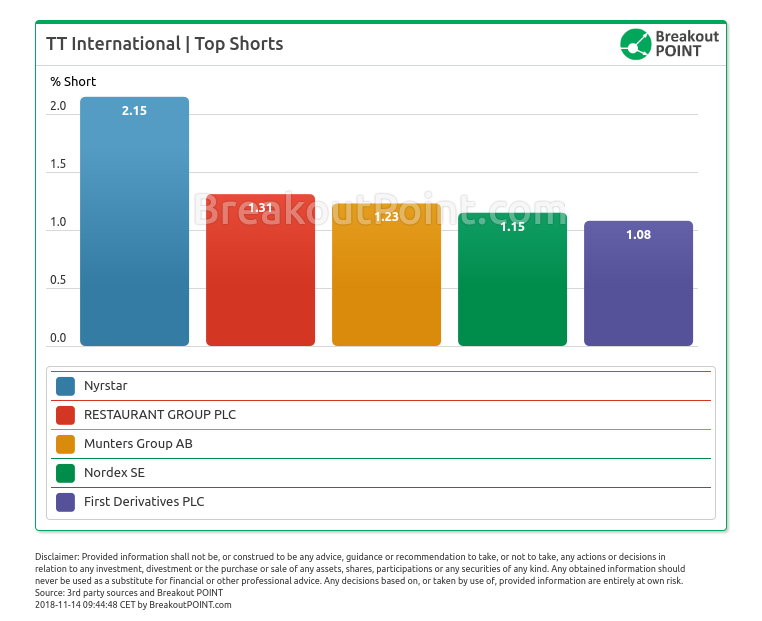 TT International is winning big with their 2.15% short position in Nyrstar. Stock down as much as 40% on 12th of November. Updated on 2018-11-14, 08:54 AM GMT with latest short disclosures. 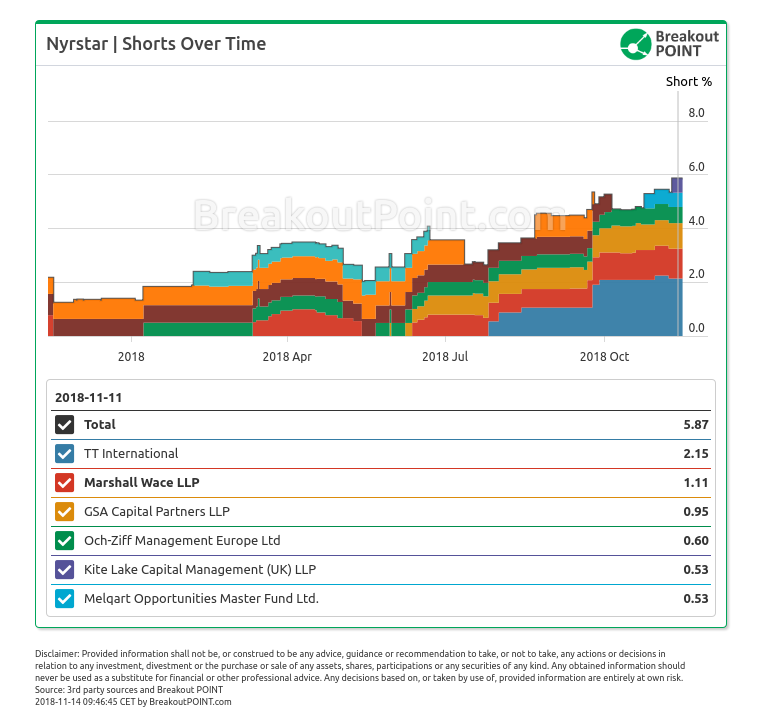 As of latest short disclosures, six hedge funds hold short positions >0.5% ("big shorts") in Nyrstar, Belgian global multi-metals business. TT International stands-out with a big short of 2.15% that first popped up in July 2018 and has been gradually increased since. 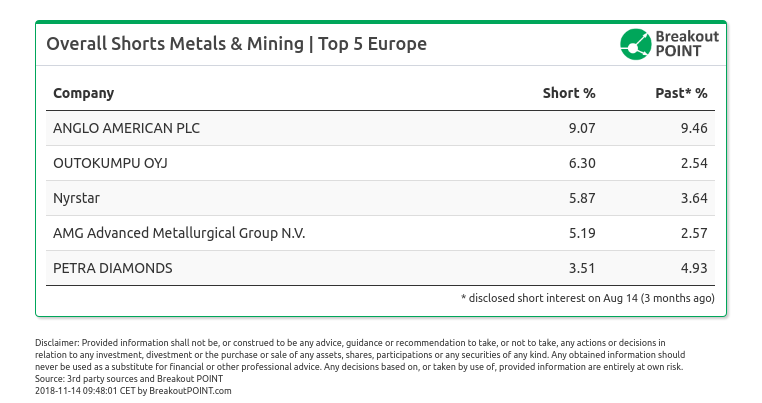 With short interest at 5.87%, Nyrstar is not only the top shorted stock of all Belgian stocks in Breakout Point's records, but is also among those with the highest short interest in all of Metals and Mining Sector stocks in EU. TT International apparently took special interest in shorting Nyrstar. This is both their only big short in Belgium and their only big short in Metals and Mining sector. Also, 2.15% short position in Nyrstar is by far the biggest short in % terms of all EU short positions by TT International.